Travis Benson becomes certified Farm Succession Coordinator - Thompson Law, P.C. Thompson Law, P.C. Attorney Travis Benson is now a certified Farm Succession Coordinator! He completed his certification in the fall of 2017 through the International Farm Transition Network (IFTN). Following the farm crisis, IFTN was founded to promote and provide support to farmers and their families on strategic business planning, management, and succession planning. IFTN has devoted 25 years to supporting and promoting programs that help farming families plan for the transfer of their legacy. Just like Thompson Law, P.C., IFTN recognizes that legacy is important to family owned farms. Coordinators go through extensive training on how to best assist farmers and ranchers. 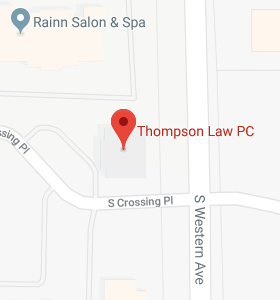 Thompson Law, P.C. serves South Dakota, North Dakota, Minnesota, and Iowa. Contact our firm to begin this important conversation.